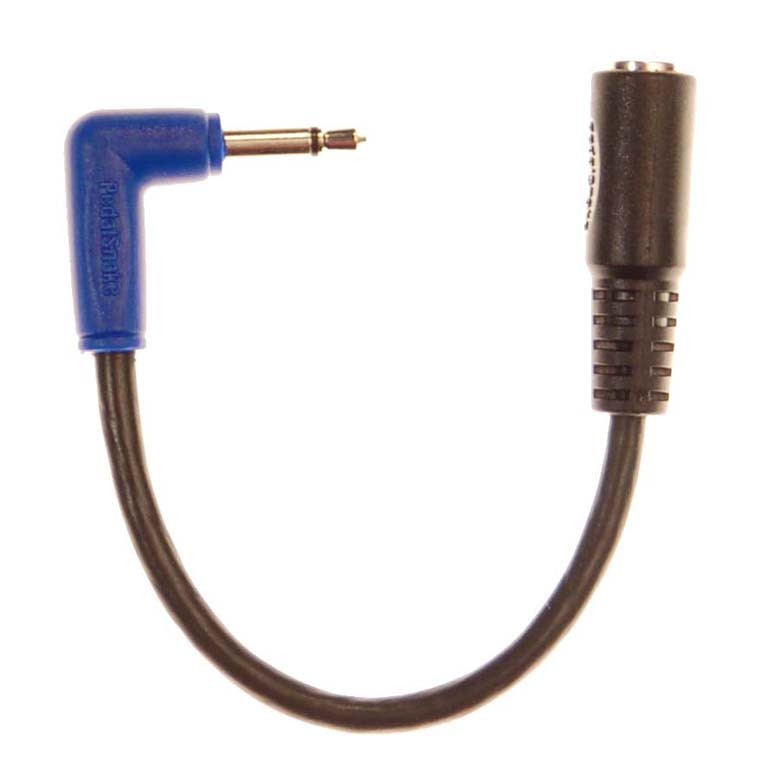 Power Plug Adapter for 3.5mm pedal (1/8" miniphone). 2.1 female to male 3.5 r/a. Power Plug Adapter for 3.5mm pedal: 2.1mm female to male 3.5 r/a. Convert 3.5 pedals (for some DOD, RAT, Electro-Harmonix, etc.) for use with standard 2.1 supplies. Will power 3.5 pedals thru 2.1mm PedalSnake P-Lines Pigtails. If a 3.5 pedal requires its own 3.5 power supply--a P-Line also requires 3521A. See Power Plug Adapters for Supplies. See also Power Plug Sizes.